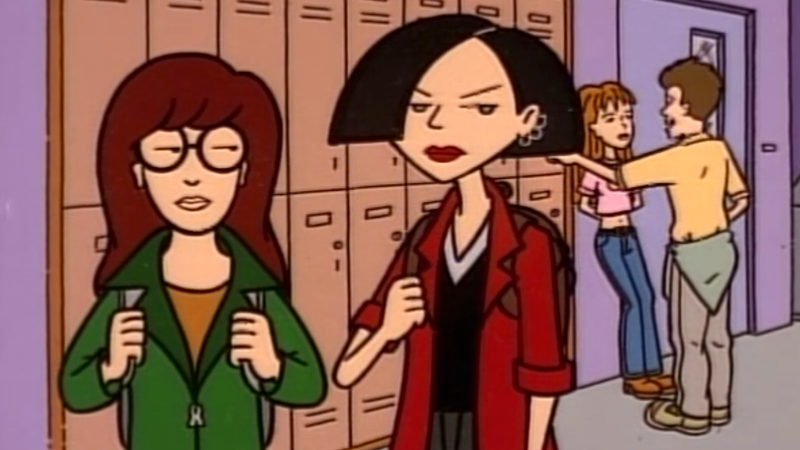 Inside Amy Schumer writer Grace Edwards is helming the Daria revival, tentatively titled Daria & Jodie, which will revolve around both Daria and the character of Jodie Landon, the overachieving girlfriend of football player Mack Mackenzie (and one of the few Black students at Lawndale High) who attempts to befriend our cynical-beyond-her-years heroine. The official description is below. The participation of series creators Glenn Eichler and Susie Lewis Lynn is still TBD.